It doesn’t get better than this! 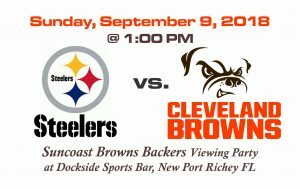 Cleveland Browns Season Opener at home against the Steelers! 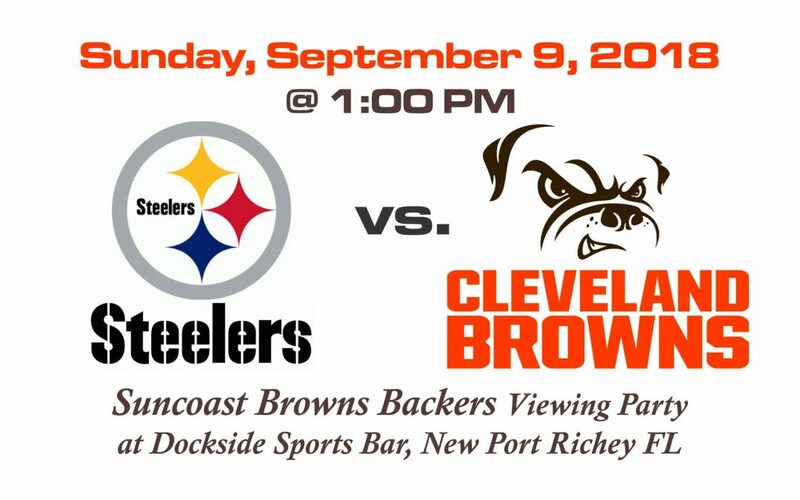 Suncoast Browns Backers hope to see you all at Dockside Grille for our viewing party! SUNDAY, SEPTEMBER 9TH – Kick-off is at 1PM, but get there early to get a good seat. Everyone welcome. GO BROWNS!